Congratulations Jamie Lancia HBA's 2013 Builder of the Year! Congratulations to the Lancia team member Jamie Lancia! The Home Builders Association of Fort Wayne, Inc. has presented Jamie Lancia, Lancia Homes with the 2013 Builder of the Year award. This award is based on commitment and contributions to the industry, association and community. Jamie has displayed outstanding leadership in all categories. Congratulations Jamie! Lancia has an A+ rating with the Better Business Bureau! Fort Wayne at #9 in Best Cities for Home Buyers and TOP HOTTEST MARKETS! Two Indiana Communities Named "Best Cities for Home Buyers" from the Indiana Builders Association. Movoto Real Estate, a national real estate website, has listed two Indiana communities as Best Cities for Home Buyers. The website ranked metro areas in the U.S. based on categories including affordability, school quality and unemployment rate. Fort Wayne is ninth overall and Indianapolis is 24th. You can view the full list by clicking here. First Ft Wayne True Energy Star Version 3.0 Home! A brand new Lancia home saves you money every month! We are so tight! And for once that's a really good thing for your next Lancia home! At Lancia we strive to be at the cutting edge of the latest building techniques and Lancia's Autumn Whisper Parade House blows away the competition. Lancia is the first one to build a True Energy Star Version 3.0 house in the Fort Wayne area. The Autumn Whisper has a HERS of 60, 100 is a standard home and the lower HERS number the more efficient the home. The total utility cost for this home for a whole year will be $1471.40 or $122.62 per month. The buyer of this home will see a yearly savings of $1320 per year. Imagine the savings after 7 years $9240.00 ~ WOW! This home is 40% more energy efficient than you average new home built and 70% more energy efficient than an existing home. This home tested 7% more efficient than the base energy star standard. Lancia has some of the tightest homes around energy wise. We use an independent company to judge our homes which on average come in around 64%, lower than most other builders in the area. And with cold air returns in our rooms that means a healthy home and a lot lower energy bills for you. Go ahead.... ask us about Energy savings! Over 3000 Likes on Facebook! Find out why! Visit our Facebook page or Testimonial page and see why our customers are repeat builders. If you're not in a Lancia home, you should be! Lancia Homes broke ground on three Supported Independent Living homes for Pathfinder Services in Huntington. Each energy efficient home will be approx. 2000sq.ft. with separate suites for each tenant. Every Lancia homes now has Green Guard Max! Lancia Homes now uses Green Guard Max home wrap on each home we build to protect against water and air infiltration. Lancia works hard to bring you Energy Savings before it becomes standard. The Lancia Lifestyle Collection makes upgrades into standards! See all the plans today. Take a look at Lancia's doghouse entry for Mad Anthony's Children's Hope House 2012 "THE LANCIA BIG RED BARN"
Lancia's Service Department created a doghouse entry for Lancia for the Mad Anthony's Children's Hope House 2012. Even the trim work inside the windows is very cool, also has a laminate hardwood floor... Nice details for some lucky dog (and no mortgage)! Lancia Homes has won the Incentive Program Award of Distinction for 2012, in recognition of Quality Building Practices and Exceptional Customer Satisfaction. Info as You Go! Save Gas! 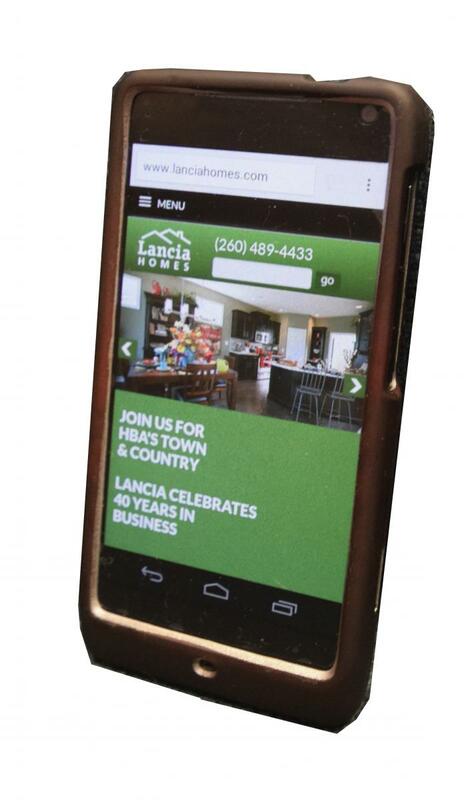 Download our New Lancia Phone APP! View info as you are in front of our homes! Save Gas! Lancia recycles 97% of its construction waste! So if you see our workmen collecting stacks of used supplies at our build sites it's for our recycling. 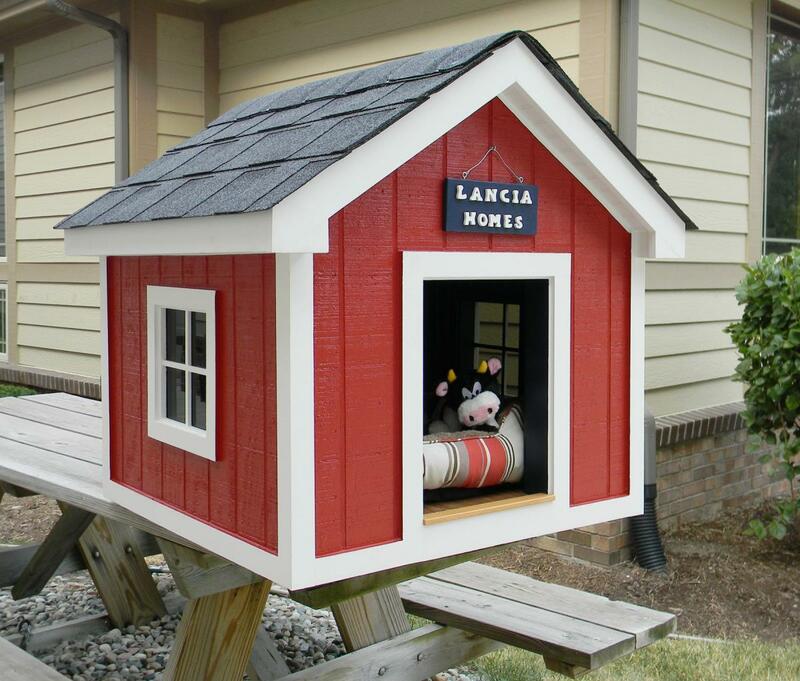 Lancia Homes is joining in on the 2012 St. Vincent de Paul School Reward Program. Lancia is helping our community with a 1% donation of the base price of the home price published on our website to St. Vincent de Paul School Reward Program. This contribution will be donated after closing each home. Lancia not only believes strongly in the growth of the Fort Wayne community, but also in the youth of Fort Wayne. Lancia is certified to conduct renovation, repair and painting activities in target housing and child-occupied facilities. Lancia has become a Lead-Safe Certified Firm by the EPA. Lancia Homes is pleased to announce that All of our series homes now have Andersen® Windows. Andersen® is a widely known window with superior craftsmanship and top performance. You'll find samples in our Design Center at our main office.